If you have any interest in the topic of clairvoyance, you're likely familiar with the work of the late Sylvia Browne, psychic reader. Learn more about the background and career of this best-selling author. Psychic Sylvia Browne (1936-2013) hailed from Kansas City, Missouri, and had a diverse religious background that included a Jewish father, Episcopalian mother and Lutheran grandmother. Due to the many differences in their religious beliefs, the family was baptized together into the Catholic faith when Browne was still young. However, many websites still cite her of Jewish faith. Browne claimed she began having visions at the young age of three when she saw her grandfather dead and she predicted the birth of her sister to take place in three years. Both predictions came true. With the help of her maternal grandmother, who was also a self-professed psychic medium, Browne learned how to understand what she was experiencing and seeing. Her psychic abilities were world-renowned, and she was widely regarded as an expert on parapsychology. She lived in California but continued to tour the US and Canada as a guest lecturer. Sylvia Browne psychic talents earned her fame and fortune, with the rich and the famous seeking her guidance and advice. Her yearly predictions were eagerly awaited, discussed and often debated; while there were plenty of anti-Sylvia publications and websites, there were just as many faithful followers. For some, her clairvoyance was mainly entertainment, but for others, her psychic know-how offered them help with life-changing decisions. Sylvia's career began in 1973 when she conducted tarot readings at a gathering at her home. Her guests were so impressed, Sylvia soon found herself working as a professional psychic medium. Sylvia claimed to work with police and FBI agencies on missing person cases as well as the 1993 bombing of the World Trade Center. A very spiritual person who believed in reincarnation, Sylvia established several organizations and businesses in her desire to help fellow humans reach an understanding and peace with life after death. In 1974, Sylvia established the Nirvana Foundation for Psychic Research. The non-profit changed its name to Society of Novus Spiritus. She established the foundation to support her mission to help others. Her research into hypnosis as a spiritual tool and past life regression lives on in The Sylvia Browne Hypnosis Training Center. She established the Sylvia Browne Corporation. She conducted readings, toured the country to share her insights on God and spirituality. The corporation continues under the guidance of her son. 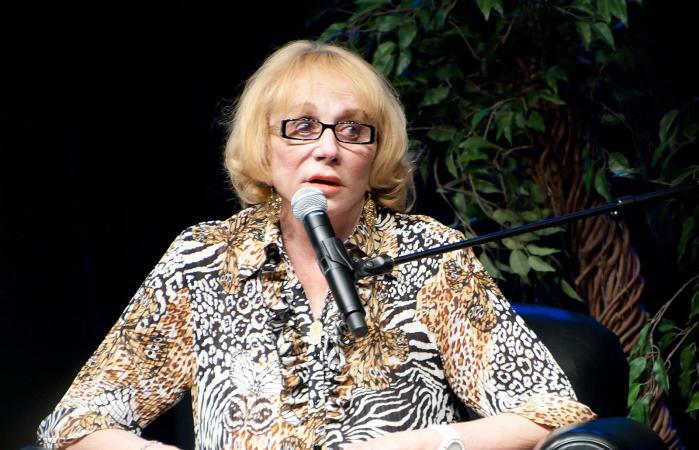 Sylvia Browne had 22 New York Times best-selling books. While Browne's best-selling books were certainly based on her clairvoyant talents, she continued to wow audiences with her charisma and gregarious speaking ability. In fact, she was so entertaining that even non-believers tuned in to her predictions or sought her books to read what she had to say. and she regularly appeared on the Montel Williams Show and Larry King Live. 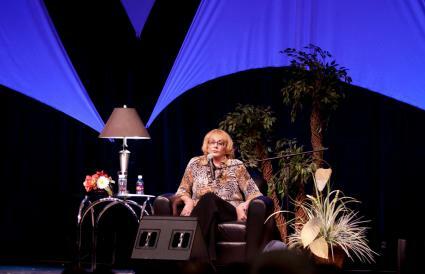 Sylvia Browne's website offered visitors an opportunity to schedule a psychic reading or lecture event. Today, her son Christopher Dufresne takes center stage on her website with a dedicated page to Sylvia in remembrance of her life. While Sylvia obviously had a huge crowd of devoted believers, Chris follows closely in her footsteps with more than 30 years of experience working as a psychic in his own right. When you visit the website, you have several choices for readings from Chris, such as a 30 minute ($100) or a 60 minute ($165) phone reading, Skype 45 minute ($230) or a 30-minute in-person reading($350). The rates are subject to change. Chris also offers a three-tier membership for Inner Circle that includes a newsletter, webinars, readings, DVDs, jewelry and more. Certainly Sylvia Browne had many correct predictions; however, these are often overshadowed by the ones she got wrong. Three well-known predictions that stand out that Sylvia made that came true. Sylvia predicted that the 1995 Oklahoma City bombing would be solved, resulting in the arrest of two people. This horrific bombing killed 168 people and injured 680. The blast radius covered 16 blocks and damaged over 324 buildings. Timothy McVeigh and Terry Nichols were arrested for the bombing. McVeigh was executed in 2001 and Nichols received a life sentence. The 1996 murder of Jon Benet Ramsey in the basement of her parents' home on Christmas night. Sylvia predicted that this tragic case would not be solved. To date, the case remains unsolved and is still listed as an open investigation. Sylvia Browne's failed predictions mostly revolve around missing children. Sylvia predicted several children to be alive, but later they were found dead. Some she said were dead later turned up alive. In 2004, Sylvia appeared on The Montel Williams Show with Louwanna Miller, mother of missing Amanda Berry. Sylvia told Miller that Amanda was dead and the distraught mother would only see her daughter in the afterlife. Louwanna died two years later believing her child was dead. In 2013, Amanda escaped her captor and the social media attacks on Sylvia were brutal. In another missing child case, Sylvia stated that missing 11-year-old Shawn Hornebeck (kidnapped 2002) was dead. She told his parents that his body was near two jagged boulders. He was found five years later in the company of his kidnapper. In 2003, Sylvia appeared on Larry King Live. During the show, Sylvia predicted she would die when she reached 88 years old. She died in 2013 at the age of 77. Sylvia made annual predictions. In 2012, she inaccurately predicted President Obama wouldn't be re-elected. He was re-elected to serve a second term. She also predicted that a medical breakthrough would result in a cure for Multiple Sclerosis. In 2006, the website Stop Sylvia Browne was published. This website (defunct) was created to document the medium's failed predictions. According to skeptics, such as Brill's Content, Sylvia Browne's predictions weren't accurate. 36 cases were examined by Brill's Content with the findings that 21 cases contained info she predicted that was just too vague to verify. In the other 14 cases, law enforcement and family members didn't give Sylvia any credit for being useful in the investigations. Whether you were a Syliva Browne fan or a skeptic, there is no denying her legacy lives on after her death. Her books continue to sell and her son carries on her work in the tradition of their 300-year-old family mediumship of reaching out to others.